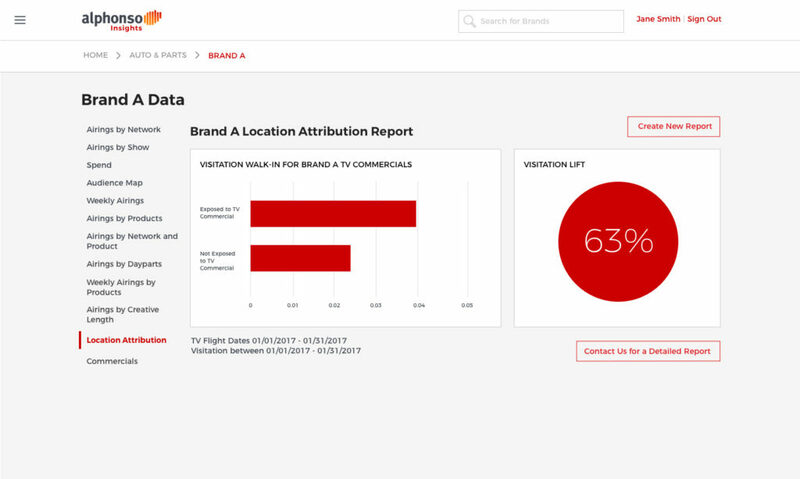 Alphonso Insights gives you immediate TV ad campaign insights on thousands of brands, brand categories and commercials, at your fingertips. It’s TV ad analytics for the digital age, with closed-loop attribution for understanding the offline impact of your TV spend. With our tv ad analytics you’ll know the impact of your ads on store, restaurant, service station or dealership visits, credit card transactions, policy binds, auto purchases and more. Browse our real-world location attribution reports from Alphonso Insights, and initiate your own. Documenting how audiences in a rapidly changing entertainment landscape are viewing television and commercials. No more waiting for days or weeks to find out how your TV ad campaign performed. 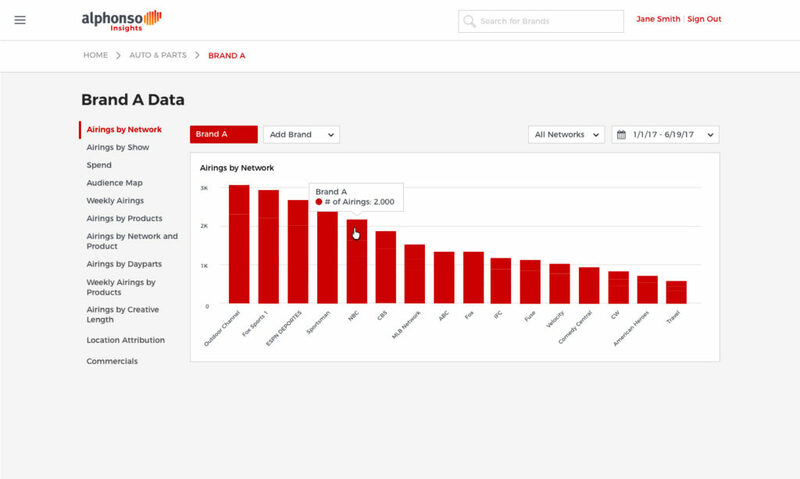 Alphonso Insights gives you instant TV ad analytics on your brand, your competitors, and your entire category. Know which creatives work best, on which networks and in which dayparts. Real-time metrics for all your TV ad campaigns. And your competitor’s campaigns too. 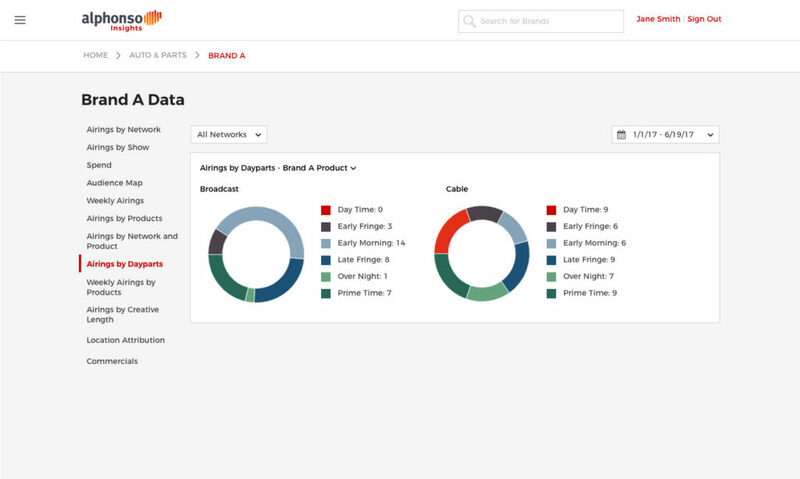 Get granular details on airings, share of voice, spend, reach and more. 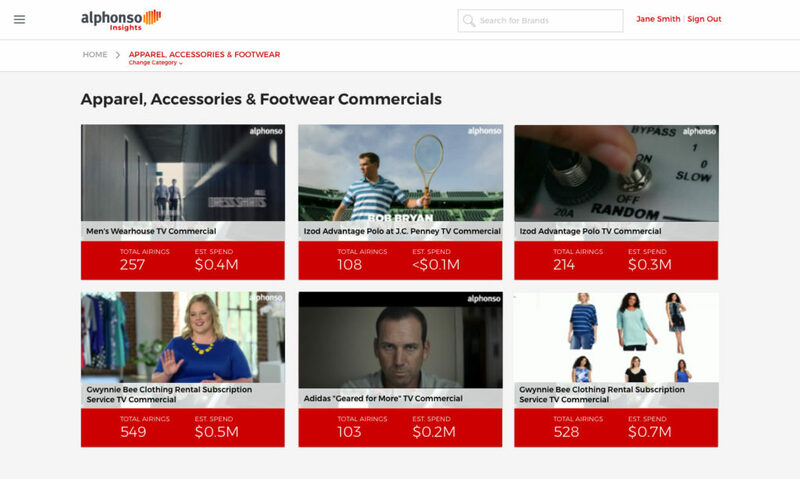 Compare TV ad performance against competitors, or entire categories. Powered by the Alphonso TV Data Cloud. Until now, data reporting could take weeks or even months. Therefore by the time you see it, you can’t take action. Bring ad analytics in house. Optimize your ad spend across TV and digital while your campaign is in flight. 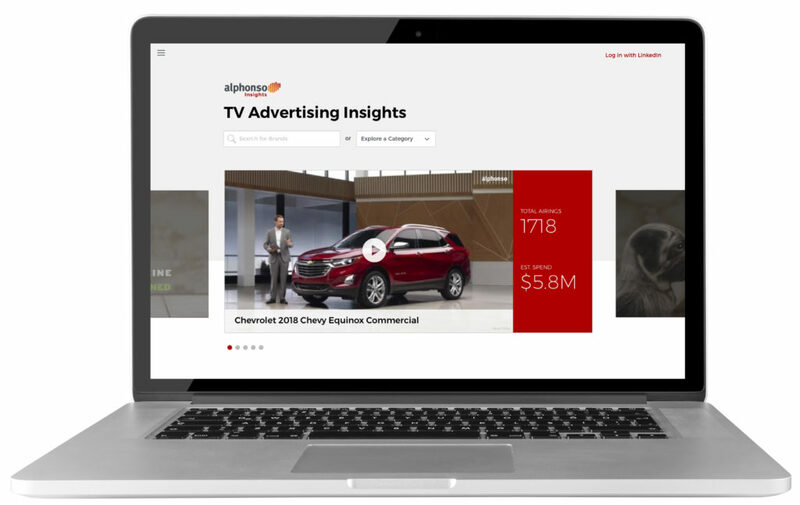 Use TV ad analytics from Alphonso Insights to inform your next TV-to-digital retargeting campaign. It’s the best way to optimize TV campaign spend across all screens. Talk with our team to see how Alphonso’s TV retargeting and ad insights solutions can get you immediate results.